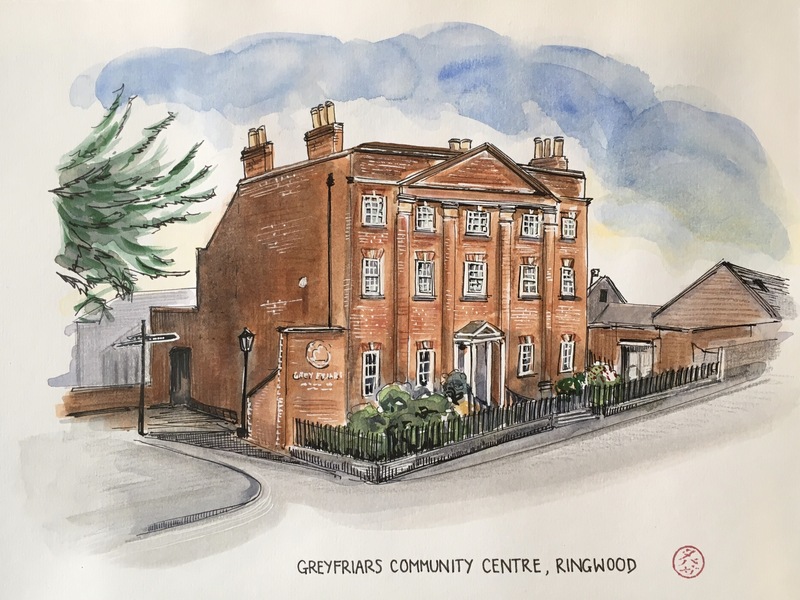 A friend who works at Greyfriars Community Centre asked me whether I might draw the building for her. She liked the little sketch I did before but I said I could do better than that! Voila!